What is the optimal tire pressure for gravel? Ever felt really fast on hard, over-inflated tires? It wasn’t long ago that pumping 700×23-millimeter silk tubulars to 135psi was common practice; the bike felt springy and fast that way. As you may now know, higher pressure doesn’t always equal lower rolling resistance — we have published various test articles over the years upholding this finding. That fact is especially true on gravel roads. Those who ride on gravel know that low tire pressures save your body. Does this fact trade speed for comfort? What is the optimal tire pressure for both qualities? We endeavored to find out in the lab and out on the gravel. When your tire hits a bump, there is an energy cost to lifting the bike and rider. The energy to keep moving forward comes from the rider, and the cost leaves less energy for propelling the bike down the road. In suspension terminology, “unsprung weight” is the mass of the portion of the vehicle that moves up and down the full height of the bump. “Sprung weight,” by contrast, is the suspended mass. A vehicle is more efficient when the percentage of sprung-weight mass is high and the percentage of unsprung-weight mass is low. That means less mass is deflected when going over a bump. If the tire were completely rigid, then the entire bike and rider (assuming the rider’s elbows stay locked) would be unsprung weight. This would not only be uncomfortable and hard to control, but it would also be slow. However, if the tire were big and soft enough that it could absorb the entire height of the bump into itself, then the bike and rider would not go up and down at all. This is optimal, as the mass of that little section at the bottom of the tire going up and down (unsprung weight) is very small, and essentially the entire bike and rider (sprung weight) maintain their forward momentum. Thus, less energy is required to maintain the bike’s speed. This is why fat bikes and “plus” mountain bikes can be quite efficient and fast on rough trails, even if they are slow-rolling on pavement and heavy for climbing. 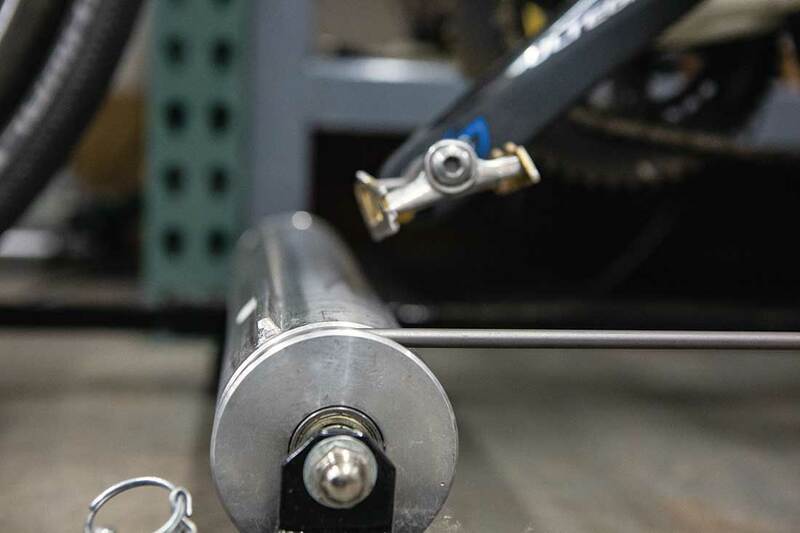 We had our friends at Microbac Laboratories ride a bicycle on a set of rollers that had an 8-millimeter-tall aluminum ridge welded down the center of the front roller and one of the rear rollers to simulate a bump in the road. We measured the rolling resistance — determined by measuring the power it takes to maintain a given speed — and determined that it decreased when we added tire pressure. We also measured the vibrations from the bump using an accelerometer on the seat post. Perhaps unsurprisingly, at higher pressure the rider received a beating. The challenge with any lab test is that it is difficult to simulate the conditions of the real world. In this case, the roller diameter is small, which is quite different from riding on the big roller that is Earth. The Kreitler training roller we used at Microbac has a diameter of around 4.5 inches (114 millimeters), while the diameter of the Earth is 12.7 million meters — its curvature is so big that even today some people think it is flat. At the world’s premier independent bicycle-tire rolling-resistance testing facility, Wheel Energy Oy in Finland, the roller used for testing rolling resistance is 1,200 millimeters in diameter. That’s about 10 times bigger than the Kreitler roller, yet is still 10 million times smaller than the diameter of Earth. We can predict that higher tire pressures will yield lower rolling resistance when riding on a skinny roller (as compared to the case on a flat road) — the small roller will push deeply into the tire. The more the roller pushes into the tire, the greater the energy loss due to internal friction and hysteresis (the lag in deflection of an elastic material to an applied load). On a flat road, however, the amount of deflection of the tire with the same bike and rider atop it is considerably less than on the roller. We addressed this at Microbac by riding not only on a set of Kreitler rollers with 8-millimeter-tall bumps front and rear but also on a set of smooth Kreitler rollers. The rider pedaled on the rollers in a constant gear at two different cadences, 60 and 80 RPM, with 30, 50, and 70psi pressures in Schwalbe G-One AllRound MicroSkin TL Easy (700×35-millimeter) small-knob gravel road tires with butyl inner tubes. The front and rear rollers differed in diameter so the bump frequencies would be random and could not synchronize. This produced high-frequency vibrations, simulating fast riding on a bumpy road. 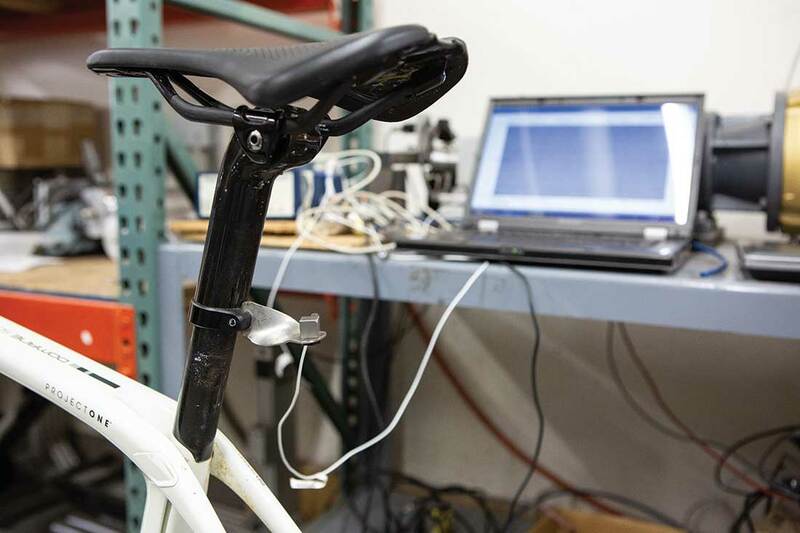 The accelerometer measured the magnitude of the seatpost’s up-and-down acceleration at 1,000 readings per second (1,000 Hz) for 30 seconds; that’s a total of 30,000 data points per vibration test for each tire pressure and cadence. The accelerometer measured a voltage difference as it bounced up and down, which Microbac’s software converted into acceleration; a greater voltage change indicates a greater acceleration, measured in G (one G is the acceleration of gravity, or 9.8m/s/s). A higher number of G recorded for a given tire pressure and cadence indicates that less of the bump acceleration is being absorbed by the tires and the bike, and more is transferred to the rider. A lower number would indicate more vibration absorption by the tires and less going into the rider. Using a Stages power-meter crank arm, Microbac measured the average power required to maintain a given cadence — either 60 or 80 RPM — at each tire pressure and on each type of roller. Since the only variable was tire pressure, lower average power indicated less rolling resistance. The average vibration went up with each increase in cadence and with each increase in tire pressure. As you might expect, the average vertical acceleration was very low with the smooth rollers, and the differences at different cadences and pressures were almost imperceptible — measured at one or two hundredths of a G. With the 8-millimeter bumps on the front and rear rollers, however, the average vibration was at least five times the G as at the same pressure and cadence on the smooth rollers. This demonstrates that rough surfaces could not only sap a rider’s energy through increased rolling resistance but also through fatigue of bouncing muscles. While rolling resistance decreased with almost every rise in tire pressure on both the smooth and the bumpy rollers, the decrease was generally less significant each time on the bumpy roller. In one case, at 80 RPM, rolling resistance went up going from 50 to 70 psi. This indicates that lower pressures dealt better with bumps than did higher pressures. Runs at all pressures were overwhelmingly subject to the primary influence — namely, the small-diameter roller compressing the tire casing and tread compound. We then performed roll-down tests on a gravel road and found that rolling resistance goes down with decreasing pressure — the opposite of the finding in the lab on rollers — until a point where the tire becomes too soft. We had two riders (both weighing approximately 150 pounds and on 56cm bicycles) coast down a gradual hill on gravel. The two riders always started at the same points, front wheels adjacent to two large stakes pounded into the road, with the rear rider starting over 20 feet behind the front rider. 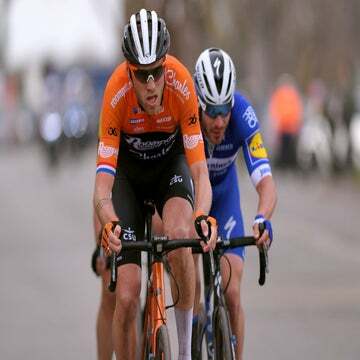 Both riders started simultaneously on each run, with each taking a single half pedal stroke — the top leg went down to the bottom of the stroke, and then the rider coasted from that point on. The riders maintained the same body position throughout all of the runs and followed the same line, with the rear rider taking a line to the left of the front rider’s line. 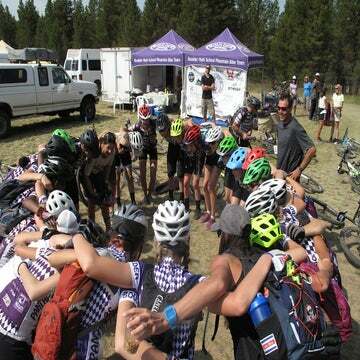 This, combined with the large offset between the riders at the start, ensured that the trailing rider would not benefit from a draft from the front rider. The only (controlled) variable was that the tire pressure of the front rider (who rode on the same bike and tires used in the Microbac Lab tests) was changed every few runs. The riders performed multiple runs at each of four pressure settings in the front rider’s tires: 15, 30, 50, and 70psi. At the end of each approximately 450-meter run, the time difference between the riders rolling across a fixed point was measured with a stopwatch. The bigger the time gap between the riders, the lower the rolling resistance, indicating that the front rider was rolling away from the rear rider more than on a run with a lower measured time difference. The average time difference between the riders was the greatest at 30psi (4.3 seconds), indicating that this pressure equated with the lowest rolling resistance. The highest rolling resistance was encountered at 15psi and 70psi, with average times at those pressures being approximately the same, at 2.7 and 2.6 seconds, respectively. Rolling resistance reduced when the pressure was at 50psi (average time difference between riders of 3.2 seconds), but not nearly as much as at 30psi. The front rider could not see or hear the rider behind and had no idea if he was closing in or not. Interestingly, the front rider also got sucked into believing he was faster on really hard tires; his perception of what was fast was completely off base. At 70psi (his slowest runs), the lead rider said that it “felt way faster.” While he said that the ride was “a lot rougher,” and, “when I hit those ripples, boy, I feel them,” he also said, “I seemed to accelerate faster at the higher pressure.” The data indicates otherwise. For now, if you’re planning on doing a gravel race, consider this: A rider weighing around 150 pounds will be faster on dirt roads at around 30psi on a 700×35-millimeter than he or she would be with that tire at significantly higher or lower pressure. 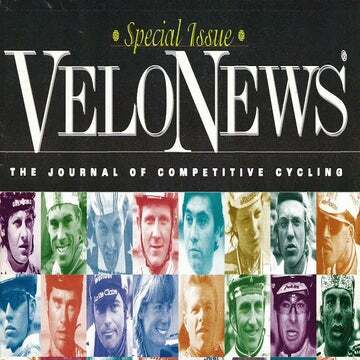 Cyclocross riders accustomed to riding 700×33-millimeter tubulars at as low as 14psi in super muddy conditions and at around 25-30psi for more general conditions may not find this concept hard to swallow. But many pure roadies coming over to gravel are going to have a hard time releasing air down to 30psi before a long race. Since you encounter more rolling resistance on dirt roads than on paved ones, it takes longer to ride the same distance. Lower speeds mean that aerodynamic drag (which increases as the square of the velocity) accounts for a smaller percentage of the frictional forces you must overcome to maintain your speed. So rolling resistance takes a considerably larger chunk of your energy expenditure on dirt than it does on pavement. blockquote>Our results indicate that you will roll faster and be more comfortable (and expend less energy) than at 50 or 70psi. We did not test every single tire pressure, nor did we test any tires other than a 700×35-millimeter Schwalbe G-One. While our roll-down test methodology was accurate enough to distinguish between pressure variations of 20psi with the same tire, the kind of accuracy that would allow us to distinguish between, say, tubeless versus butyl tubes versus latex tubes versus tubulars, or 5psi differences in tire pressure, two to three millimeter differences in tire width, or between different tire models of similar construction still doesn’t exist. We are working to hone those procedures, and we do intend to split hairs more in the future. Obviously, some tire setups will be vulnerable to pinch flats on square-edge impacts at 30psi, and heavier riders will need to adjust pressure upward for that reason as well; after all, continuing to ride is generally faster overall than stopping to fix a flat. 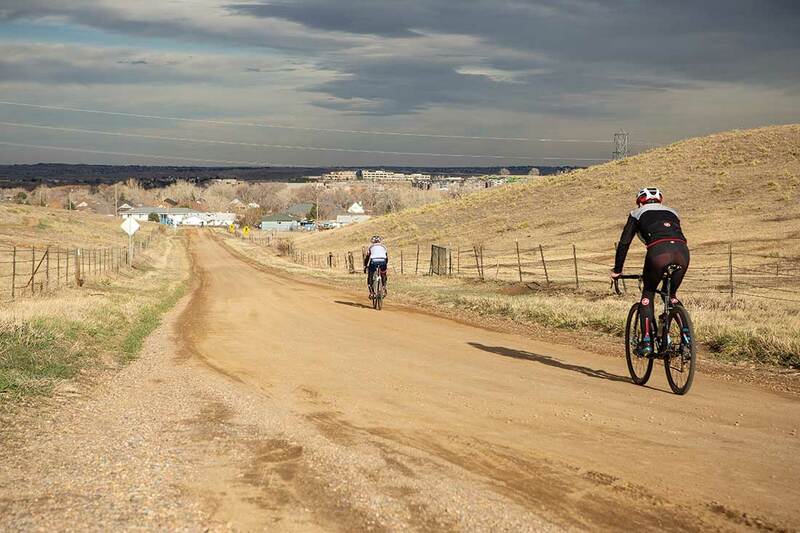 However, if you are already doing everything you can to be as fast as you can for an upcoming gravel road race, you owe it to yourself to train at race pace on similar roads at around 30psi and see how it goes. Our results indicate that you will roll faster and be more comfortable (and expend less energy) than at 50 or 70psi.